What's more fun than flying a spaceship made of sewer pipes? Flying a spaceship made of sewer pipes, radioactive isotopes, and high explosives! 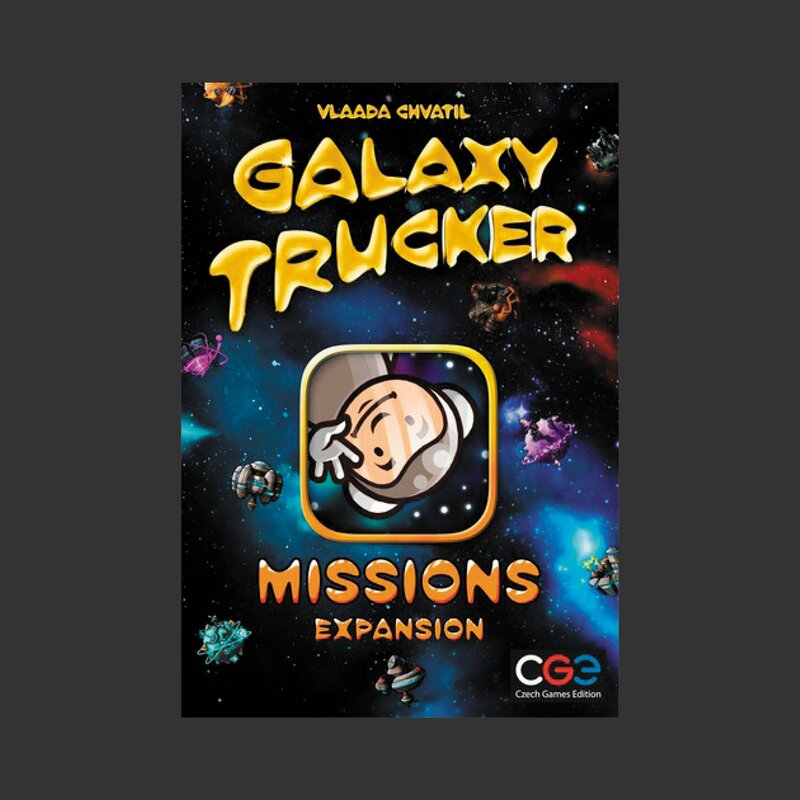 This expansion takes features from the Galaxy Trucker digital game and puts them on your table. Get ready to haul superheavy cargo, dangerous artifacts, and tasty beverages conveniently packaged in bottles of glass. Does this sound too easy? The new adventure supercards will double the danger! This expansion requires only the base Galaxy Trucker game. Each flight becomes a special mission with a unique way of defining and rewarding success.